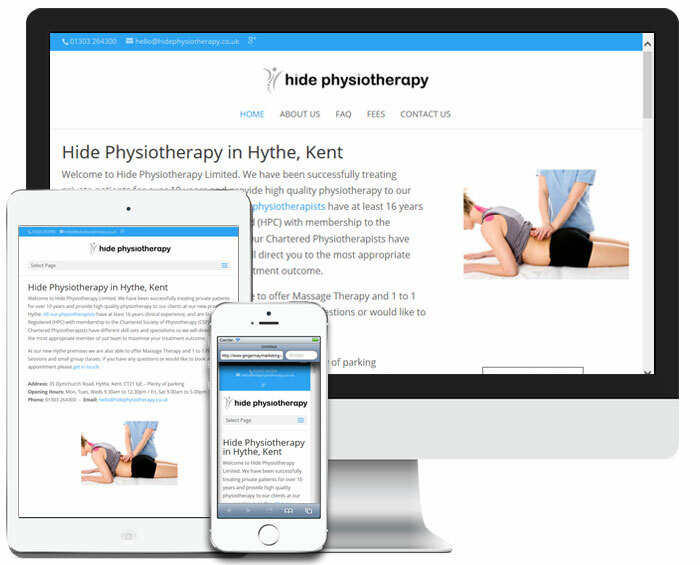 Hide Physiotherapy is a physio practice based in Hythe, Kent. Their website is built using WordPress and the Divi theme making it responsive and readable on any device. Content supplied by Hide Physiotherapy and images from iStockphoto. The WordPress Content Management System gives the Hide Physio team the ability to add and amend the content without having to get in touch with OakesMedia for every little change to fees or opening hours, making it a cost effective solution in the long term.